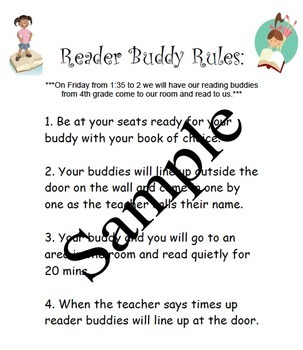 Here are our reading buddy rules! We try to meet with our 3rd grade reading buddies every week. Enjoy!! !